Looking just as good at 42 as she did at 19. 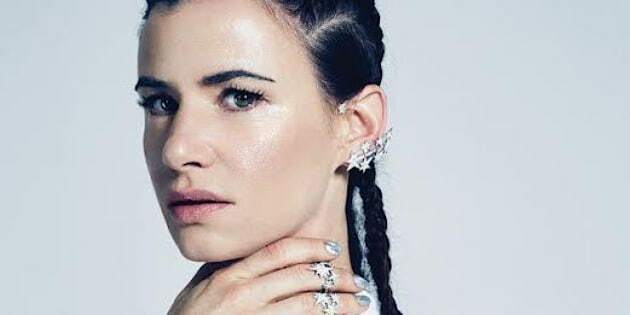 Juliette Lewis may be 42, but by the looks of her latest cover shoot, we wouldn't put her a day past 25. The actress and singer stars in an upcoming editorial for NOTOFU magazine, looking better than ever in a series of futuristic, edgy shots photographed by Zoey Grossman. The cover shows a close-up of the "Jem and the Holograms" star's face, painted with bold, colourful makeup including hot pink blush and sparkly purple lips. Her hair is mussed up and textured in a deep side part, with wisps falling onto her visage. Inside the magazine, Juliette wears a silver bodysuit with strategic rips and lots of embellishments. Her face is fresh and glowing and her hair is done up in cornrows, giving us serious throwback vibes to her 1992 Oscars look (she looks THE SAME). In the accompanying interview, Lewis opens up about her music, acting and losing her father earlier this year. She also speaks on the aging process, calling it "fascinating."